So you have a 30 year mortgage. Congratulations! Now homeowners across the country have the ability to pay off their mortgages within a seven – ten year period. You read that right. That’s the message that Real Estate Investor Raul Campos, continues to emphasize to new students who are entering into this industry of real estate investing. The one thing that homeowners mistakenly do is refinance after three – five years and it starts the mortgage all over again. STOP IT! Raul Campos’ financial success started in financial services where he became very successful and realized there is even more success and ability to build generational wealth in real estate, where the investor has more control over the asset compared to a stock or mutual fund for example. He has been involved in fixing-and-flipping homes, purchasing rentals, and even in commercial real estate. These strategies are all taught through a new and unique program like no other. He is also a highly visible and high-in-demand public speaker. So to the reason you’re reading this article – One of the 50 courses taught involves paying off a mortgage utilizing a mortgage acceleration strategy, and when done correctly, you are able to pay off a 30 year mortgage within a seven – ten year period. We purchased our personal home in July of 2015 and are on track to have it paid off within 7 years using the education and the mortgage acceleration strategy. 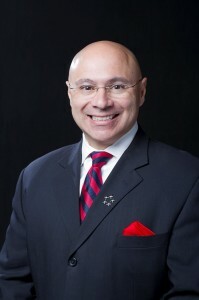 Campos stresses that one technique that he teaches known as, chunking, is so critical to getting off the amortized merry go-round. Utilizing this technique allows homeowners to begin placing interest in their own pockets to grow their own wealth rather than lining the pockets of banks. This is NOT the splitting a payment in two each month or simply making an extra payment here or there to principal. Those will work and are cute, but won’t get you paid off anywhere near in seven years. He says homeowners can establish multiple lines of credit and access significant amounts of money to chunk down their mortgages on their personal property, investment properties, student loans or any debt. It requires no extra money out of pocket or extra annual income. In fact, most borrowers will see a rise in their monthly cash flow. We are so fortunate to have Raul Campos as one of our investing partners and mentors. If you want to learn more, then contact us.